Sale Extended! Free Ground Shipping With Coupon! Home>Sale Extended! Free Ground Shipping With Coupon! Coupon expires 02/28/18 at 4:00 pm est. 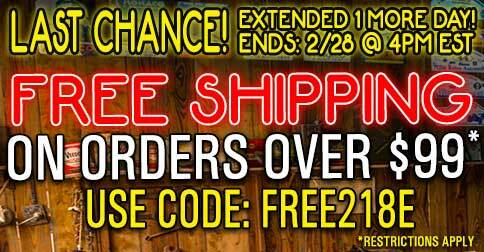 *FREE218E coupon code valid until 02/28/18 at 4:00pm est!